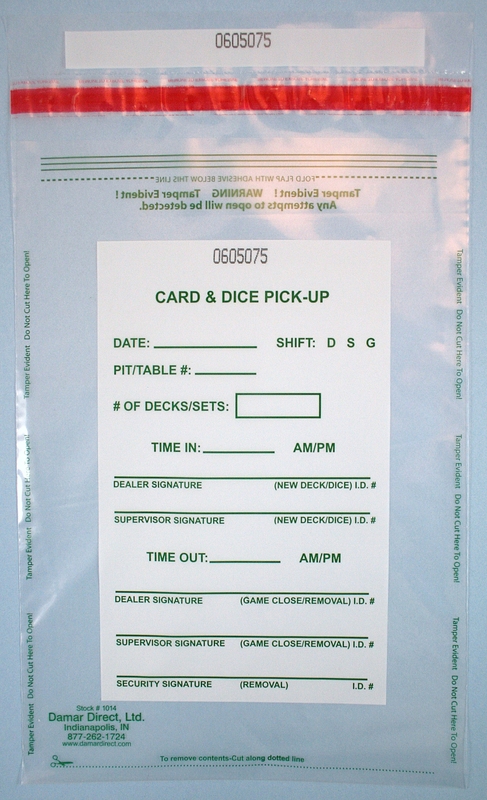 Heavy,Clear, Printed 2-Colors, Write Block For Date, Shift, Pit/Table, # Decks/Sets, Time In, Time Out, Signature Lines, Tamper Evident Adhesive Closure, Numbered + Matching Number Tear-Off Receipt. Card and Dice Bag. 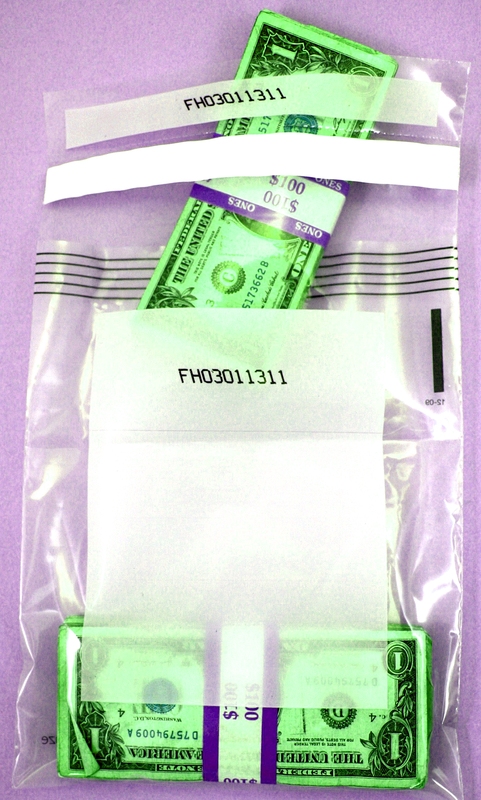 Chip Tray Bag, 5.5" x 9.5" +2.5" Bottom Gusset, Clear, Tamper Evident Adhesive Closure, Numbered + Matching Number Tear-Off Receipt, Used To Secure A Single Rack of Chips. 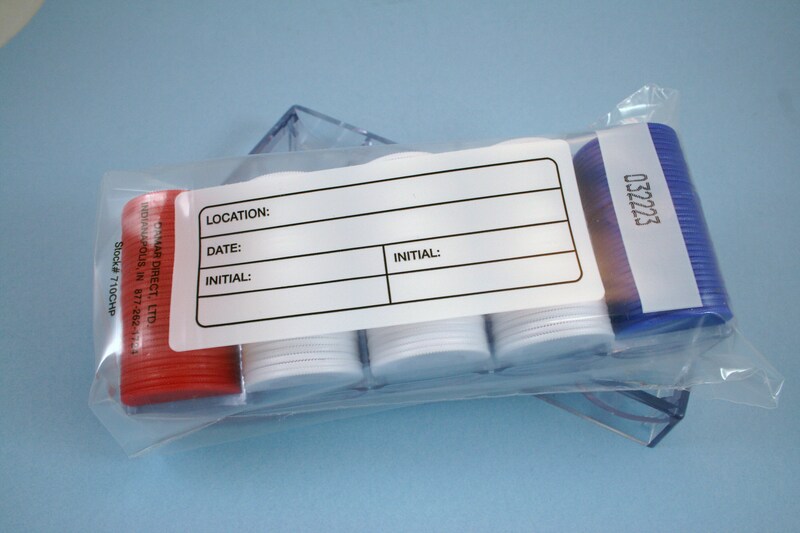 Printed 2-Colors, Write Block For Date, Shift, Pit/Table, # Decks/Sets, Time In, Time Out, Signature Lines, Tamper Evident Adhesive Closure, Numbered + Matching Number Tear-Off Receipt. Card and Dice bag.